Another brilliant product on the market, this is quite similar to its sister products, in that the leaf is light green and fresh, with hardly any twigs to see. Upon testing the product, this has a wonderful whiff to it, the taste is very mild and the high a bit stronger than its pineapple companion. The high is very good and can last well upto an hour. 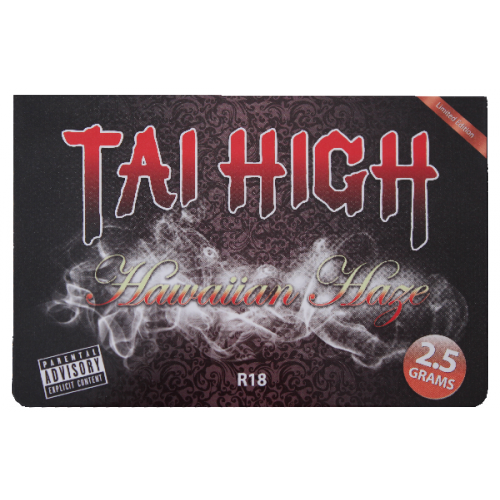 Like the other Tai products, this is a social smoke, keeping you talkative and lively, perfect for the summer days in the parks! Brilliant product, would urge people to try it as its different from the usual ones, i fully recommend this social and friendly product!